Human Resources experts have expressed varied opinions on employee loyalty and its effect on organization. This observations travels beyond this generation—work attitudes demonstrated in decades past and what is being experienced now clearly exhibits a shifting trend. One school of thought believes that workplace loyalty is dead. It had been killed off through shortening contracts, outsourcing, leadership style, corporate culture, automation and multiple careers. How true is this statement? Loyalty has been sacrificed to the realities of a fast-paced economy. It’s sad if this sterling virtue — so prized in a spouse, a friend, a pet — is now out of place in the business world. What then becomes of the future of businesses? But the situation is more complicated than one can imagine. Depending on how you define it, loyalty may not be dead, but is just playing out differently in the workplace. The dynamics of loyalty at the workplace may have changed with the rapid transformation. The advancement in technology and the calibre of workforce has contributed immensely to this new paradigm shift. Decades ago, an employee could stay at the same company for many years, and the company reciprocated with long-term protection and care. And our senior colleagues who fall between labeling generations—baby Boomers and Generation X have experiences to share. Many were guaranteed longtime employment along with health care and a pension gratuities. The status quo has changed and employers do not hold up their end of the bargain, so why should the employees hold up theirs? Given the opportunity, they’ll take their knowledge and skills acquired elsewhere. These days, trust is more important than loyalty: Loyalty is about the future — trust is about the present. Serial career commitment is now the order of the day. People give out their best and when it’s time to move on they exit without stress or emotional attachment. The terms of engagement (employment contract) of modern employment is more likely to be: As long as I work for you, I promise to have the relevant skills and engage fully in my work; in return you’ll pay me fairly, but I don’t expect you to care for me when I’m old. For a large portion of baby boomers, this shift has been hard to accept. Many started their careers assuming that they would be rewarded based on long tenure. Now they are seeing that structure crumbling around them. Recent layoffs has confirmed their fears—some of their colleagues have suffered layoffs to the surprise of all. Some have been confronted with constructive dismissals where they were reassigned to roles that makes them less important in the business. Situations that creates a hostiles and an unconducive working environment. Don’t their experience, wisdom and institutional memory count for anything? Doesn’t their long serve and loyalty matter anymore? They expect that they are managed in a better way than this. They are much aware that they are caught up by events – they are not savvy with technology and the usage of modern work tools. But they expect to be managed out with some dignity and be appreciated for their service and contribution over the years. A longtime employee who is also productive and motivated is of enormous value and can be useful to the organization in diverse ways. They can pass on a lot to the much younger workforce. On the other hand, one can be with a company a long time and not be highly engaged. Contribution may not be enough compared to trainings attended, opportunities given and years served. Companies are beginning to shift its focus to employees’ level of engagement — or the level at which people are motivated to deliver their best work — rather than length of tenure. There is a rapid change and employees do not even stay on one job for long. The world of work has changed and opportunities are abound. People now a days take risk and move around irrespective of the consequences. Younger workers are likely to hold many more jobs in their lifetime than baby boomers did, more than previous generations. They are asking themselves: Is my work meaningful and challenging, and does it fit in with my life? If the answer is no, they may move on. But the attitude is I’m leaving, I had a great experience, and I’m taking that with me. In certain people, loyalty shows up strongly as a personality trait, even though they may not like their jobs or are very certain of the future; they still find it difficult to move on. There is also the practical loyalty that is based on our relationships — you can consider loyalty to your team/colleagues, department or a cause. This can get people to still stay on for much longer time than they would have done ordinarily. In some instances, people get the flexibility of time to do a lot of personal things. They may be seemed to be loyal based on length of service but in reality, they would be benefitting from a business culture of a liberal environment or a loose end of a dysfunctional system. Many people — if they haven’t been laid off — have stayed in jobs not out of loyalty but because they feel they have no choice. People become rusty and lose their stem when they stay on one job for long, especially when they don’t add value and build capacity. It limits their ability to build a stronger network, again they are offered with slimmer opportunities of experiencing new ways of doing things. They are easily overtaken by events and are exposed to the use of technology. If the pendulum shifts, how will businesses persuade their best employees to stay? Money may do the trick, but not always. Especially with younger people, you’re not going to buy extra loyalty with extra money. Rather, employers need to make jobs more challenging and give workers more creative leeway. More experienced workers can benefit from opportunities, retraining, recognition and flexibility. Loyalty may not be what it once was, but most companies will still be better off with at least a core of people who stay with them across decades. Passing on knowledge and institutional memory is important for business survival and growth. In short, if loyalty is seen as a commitment to keep workers of all ages fulfilled, productive and involved, it can continue to be cultivated in the workplace — to the benefit of both employer and employee. It must be well designed and implemented as a corporate culture so that all parties will enjoy the benefits it presents. 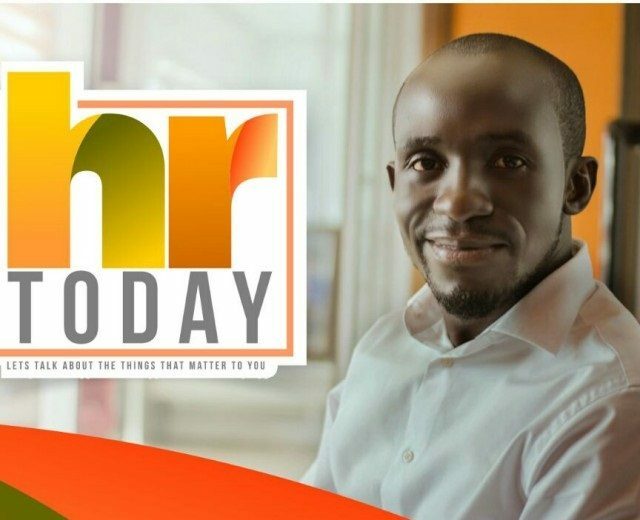 HR Today: Organizing HR department; relationships over roles or vice versa?